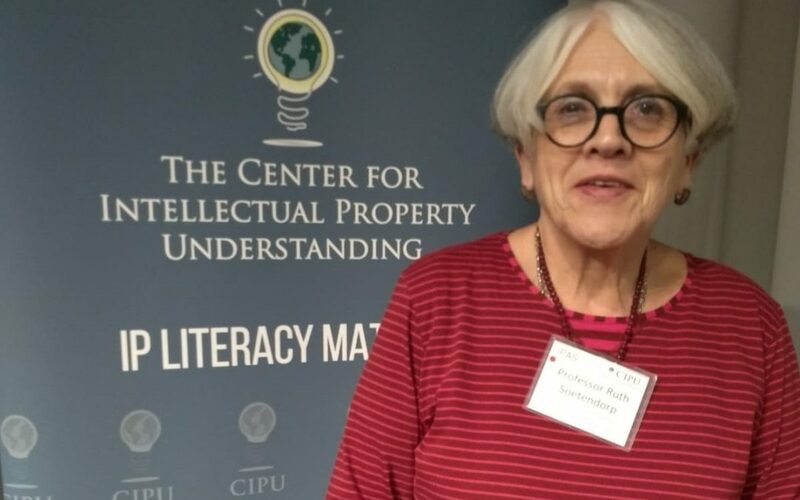 “It was a privilege to participate in the IP Awareness Summit held at Columbia University, New York city, and an honour to represent the Intellectual Property Awareness Network. I learnt first about CIPU from reading The State of the IP Education Worldwide: Seven Leading Nations Report published March 2018. I was curious to learn more, so when Bruce Berman, CIPU’s indefatigable founding Chair, invited me I accepted. My involvement in the Summit began before 29 November. Tasked with chairing a panel and leading a workshop, Bruce wisely insisted that I get to know in advance the colleagues I would be working with. An unexpected pleasure was meeting, electronically, and getting to know Bo Heiden, IP strategy specialist from the Center for IP Studies, Gothenburg, Sweden; Patrick Kilbride of the Global Innovation Policy Center, U.S. Chamber of Commerce; and Elaine Wu who is the China expert at the USPTO Office of Policy and International Affairs. Together, we looked forward to sharing experience and insights regarding the development of IP Education in Europe, the United States and Asia. I co-led the Educators Workshop with James Conley, renowned IP academic of Kellogg School of Management. It was a great delight to discover in James a kindred IP Education enthusiastic spirit. We planned the workshop to elicit feedback from participants into what they felt was holding back IP Education from making a more significant presence in schools and universities. We are processing participants’ responses to the 10 questions we posed, with which we hope to encourage support for expanding IP Educators’ work across the U.S.
As well as wide ranging and thought provoking panel discussions, the summit was treated to impressive and stimulating patent-focused presentations, including from Manny Schecter, Chief Patent Counsel at IBM, and Andrei Iancu, Director of USPTO. Most challenging was the critique of the patent system presented by Jay Walker, prolific inventor and founder of Priceline. Chatting at the close, an attorney shared that he had decided to attend the Summit because he has been invited to teach next academic year at his local university. His students will be engineers. He will be introducing them to patents and the IP system, and was looking to understand more about IP Education.